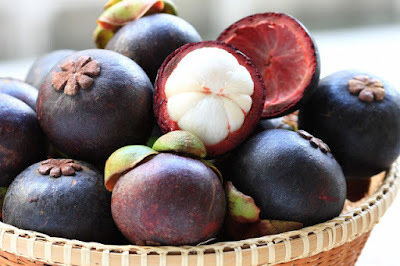 Home / Fruits / 10 Benefits of Mangosteen For Health. 10 Benefits of Mangosteen For Health. Mangosteen or known by the scientific name Garcinia mangostana, is a tree that grows in the tropical region. Mangosteen fruit consists of three main parts: hard purple skin, edible white meat, and seeds wrapped in meat. The seeds taste very bitter, while the meat has a delicate aroma and texture with a sweet sour taste. The outer shell or the skin of the mangosteen (pericarp) is rather hard, but can be opened easily. While if the mangosteen seeds taste bitter and can not be eaten, but the skin of the hard mangosteen is now widely sold as an extraction product that is believed to cure various cancers. This is according to research, that the juice extract of mangosteen peel contains xanthone compounds that are believed to be a nutritious antioxidant. Mangosteen is also beneficial because it has a fairly high nutritional value. In addition to being a delicious fruit, mangosteen is a rich source of fiber and carbohydrates. The high content present in this tropical fruit is vitamin A, vitamin C, iron, calcium and potassium. This fruit is also a source of vitamin B complex is quite high, such as thiamin, niacin and folic acid. This vitamin acts as a cofactor that helps the body to metabolize carbohydrates, proteins, and fats. One cup of canned mangosteen fruit provides 143 calories. Mangosteen is also known to have the most sources of xanthones (especially the skin), than xanthones from other sources. Scientific research has proven that Mangosteen contains natural polyphenolic compounds known as xanthones. There are two types of xanthones contained in this fruit - alpha and gamma. Xanthone and its derivatives have been shown to have several properties, such as anti-inflammatory, as well as effective drugs against various cardiovascular diseases. These antioxidants have the basic properties to regenerate cells that have been damaged by free radicals, so that the effect can slow aging, counteracting degenerative diseases as well as physical and mental damage. Low Calories: Diets lose weight. Mangosteen is very low in calories (63 calories per 100 g), and does not contain saturated fat or cholesterol. And incredibly, mangosteen is also rich in fiber (100 g provides about 13% of the recommended daily requirement value). So this fruit is also very important for individuals who care about excess weight. Mangosteen is rich in vitamin C, containing about 12% of the total daily requirement recommended per 100g of fruit. Being a strong water soluble antioxidant. Vitamin C is efficacious for boosting immunity, so the virus that causes flu and fever will get out of our body. Vitamin C is also known as an antioxidant to fight harmful free radicals. Therefore, consuming fruits rich in vitamin C is very important to develop resistance to disease. Vitamin C in mangosteen is also effective against cataracts, by increasing the amount of blood flow to the eye .1000mg of Vitamin C dose per day is said to be effective to limit cataracts and improve vision. Folate that is also found in mangosteen plays an important role in the formation of new cells in the body and development of the fetus. So that mangosteen is also very good consumed during pregnancy, and at the same time will protect baby from neural tube defect. Mangosteen will greatly help reduce levels of cholesterol in the human body. 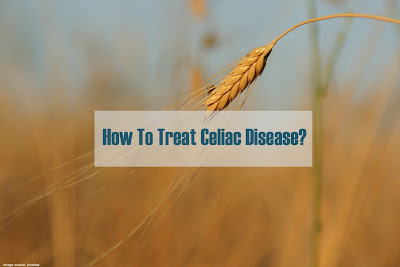 It can also help to control triglyceride levels, to work the right human liver organ. Mangosteen also contains strong antibacterial and antifungal properties, and is very effective for boosting the immune system. Thus it can create an inhibitory action against harmful bacteria, and is effective for patients suffering from tuberculosis. The use of wound drugs. Mangosteen with anti-bacterial and anti-inflammatory properties, can be used as a medicine beverage to quickly heal wounds. The leaves and bark of the mangosteen tree can be mixed with other medicinal plants, and affixed to the wound for faster wound recovery. For drinking potion, can be done by boiling the leaves and bark of mangosteen trees. The health benefits of mangosteen are having anti-cancer properties. Mangosteen's skin contains xanthones which are anti-cancer, anti-inflammatory and anti-bacterial. Xanthones can inhibit the growth of colon cancer cells, according to a study conducted by Akao Y et al. Mangosteen shows the potential to be developed as a drug to prevent cancer, or it can be used as a combination with anti-cancer drugs to get the maximum effect. Mangosteen has been used as an anti-inflammatory drug for many years in Southeast Asian countries. Scientific research also shows that mangosteen extract has anti-allergic and anti-inflammatory properties, which works by inhibiting the release of histamine and prostaglandins associated with inflammation in the human body. Mangosteen can also help maintain healthy skin. Anti-inflammatory, anti-bacterial, anti-fungal, anti allergic and anti oxidants in mangosteen will help in reducing the risk of various conditions such as skin inflammation, skin aging, eczema, allergies and bacterial infections. Research studies have been conducted to ascertain the benefits of mangosteen for the skin, and one such study shows that mangosteen has anti-skin cancer properties, and is potentially a skin cancer anti-aging agent. Also, read 8 Important Benefits of Apricots.